My mom makes a mean batch of baked beans. She’s always asked to bring them to parties and events. They so perfect and chunky! 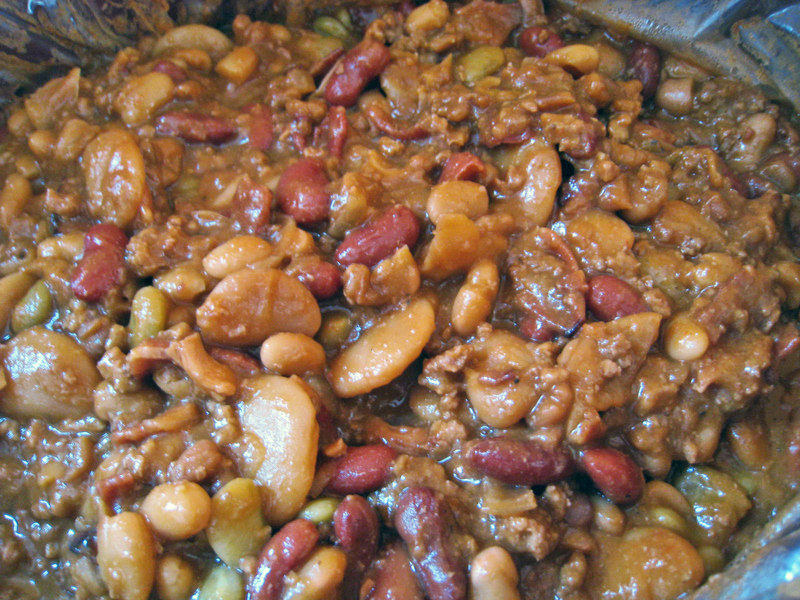 You could easily substitute the canned beans for dried beans and soak them before making the batch. Not only are they delicious, they’re quick to make. There’s no need to slave over a hot stove in the summer time, just throw them in a crock pot and go about your way! Drain and rinse all the beans EXCEPT the baked beans. Add them into a 5 quart pot or crock pot. Cook the bacon until crispy and then crumble into small pieces. Brown the sausage until fully cooked. Drain off any excess grease. Add the bacon and sausage into the beans. Add the remaining ingredients. Simmer on low for at least 4 hours.